My life values will always include; God, family, friends, and a love and respect for others. 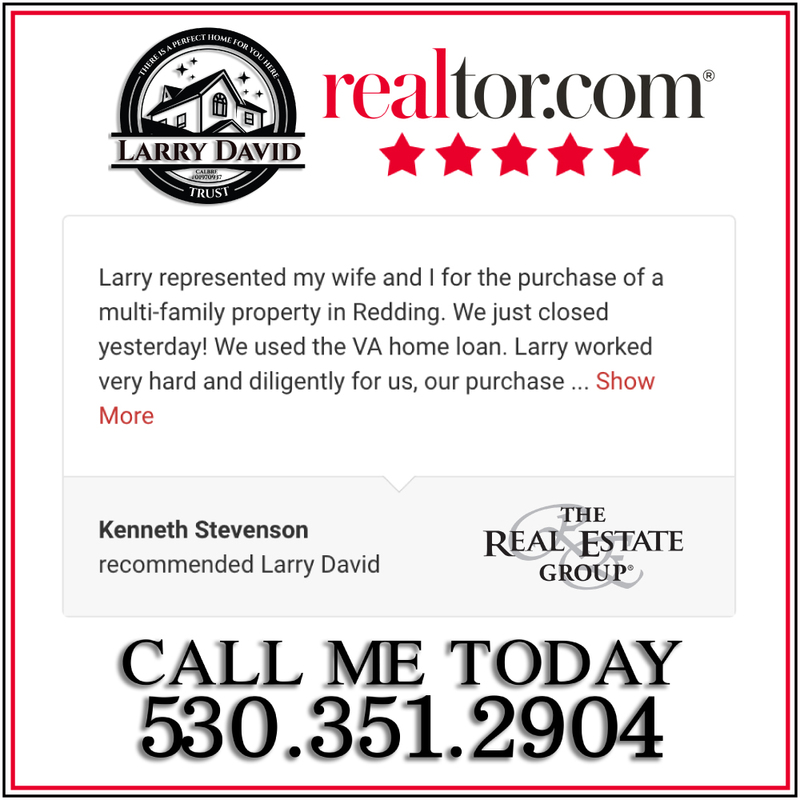 I have lived in Redding for over 27 years with my wife, Julie, raising our own family and loving all that this area offers. I have experienced living in a place with fresh air, beautiful mountains, lakes, rivers, streams, and living among people who have also desired a wonderful place to raise their own families, live or retire. If you need any assistance at all in your search please give me a call at (530) 351-2904 & I would be happy to help. Complete my online contact form below & I will personally respond. Thank you, I will personly be in touch with you shortly!